What is a healthy diet? We have been interested in this question from the very beginning, but it assumes more and more importance as evidence points to a deterioration in the overall American diet and also points more and more strongly towards diet as a potentially modifiable risk factor for depression. We eat too much saturated fat, and we particularly need to cut down on hydrogenated fats that are found in many of the fast foods that we love so much. The good news is that we can probably eat more monounsaturated fats (olive oil, flax seed oil), and we definitely need to eat more omega-3 fatty acids (see below). Refined sugar and refined flour seem to be linked to weight gain. On the other hand, whole grains (except for whole wheat, which isn’t much better than plain flour) are not only healthy but a good source of fiber and B vitamins. Mom was right. Fruits and vegetables are the foundation of a healthy diet. They are the most important natural source of agents that combat the damage of oxidation. We find that it is helpful to divide this topic into two parts: losing weight, and keeping the weight off. You won’t be surprised to hear that losing the weight is the easier part. There are many ways of losing weight that are effective. Many people now report that the Atkins diet, or something like it (low simple carbohydrates, higher protein, relatively liberal fat intake) is effective. This may be because it induces a state called ketosis, which is a state of starvation that tends not to be associated with too much hunger. Again, there are a few simple things that are clearly important. Exercise is really the key to long term maintenance. The more the better. One hour a day of vigorous exercise was the major predictor of successful weight loss in one study. Get support: find someone who can help sustain your enthusiasm. ConsumerLab.com, provides independent test results and information to help consumers and healthcare professionals evaluate health, wellness, and nutrition products. It publishes results of its tests online at www.consumerlab.com, including listings of brands that have passed testing. Products that pass CL’s testing are eligible to bear the CL Seal of Approval. CL addresses a growing need of consumers and healthcare professionals for better information to guide the selection of health, wellness, and nutrition products. Supplements are drugs that are found in nature (note: supplements don’t have to be any more “natural” in terms of how they are made than prescription drugs). Because they are found in nature they are not, in the United States, subject to review and approval by the Food and Drug Administration. Also, because they are found in nature, they tend to be safer than prescription drugs (although that is not necessarily always true). We believe in the value of supplements a great deal, but they are certainly not the right answer for everyone. What we have tried to do is summarize the available information on the supplements that have the most importance for those with mood disorders. S-adenosylmethionine, or SAM-e for short, is one of the few nutritional supplements that has good clinical research to support its safety and effectiveness. Although SAM-e is used for many purposes, we are particularly interested in it as a compound that may have antidepressant properties. S-adenosylmethionine (SAMe) is involved in many reactions that involve methylating chemicals (transferring a methyl group to the chemical to change its properties). COMT is one of the main enzymes involved in the breakdown of monoamine neurotransmitters which play a key role in depression (dopamine, norepinephrine, epinephrine). For COMT to function there must be enough SAMe present. There is some evidence to suggest that people with a particular form of the COMT enzyme (COMT Val158Met) may be more prone to fearfulness (paranoia) and excessive risk-taking (gambling, drug use), particularly when they are in exposed to high stress situations (“COMT Val158Met polymorphism interacts with stressful life events and parental warmth to influence decision making.” Qinghua He, Gui Xue, Chuansheng Chen, Zhong-Lin Lu, Chunhui Chen, Xuemei Lei, Yuyun Liu, Jin Li, Bi Zhu, Robert K. Moyzis, Qi Dong & Antoine Bechara. Nature Scientific Reports 2, Article number: 677 (2012) doi:10.1038/srep00677). Since this form of COMT is less active, people with this form of the enzyme who are experiencing these symptoms might respond to supplementation with SAMe which could overcome some of the reduced COMT activity. DNA Methyl-Transferases play a key role in regulating gene expression. Basically, at birth, a set of these enzymes apply methyl groups to selected locations on your genes. The methylation of the genes determines which genes are active and how active they are and thus plays a huge role in who you are as a person. Since the methylation of genes can be reversed, there is another set of these enzymes that maintain the methylation pattern. All of these DNA methyl-transferase reactions depend on SAMe. People with low vitamin B12 (fairly common in the elderly) or low folate or low levels of folate activity (which can be related to having a particular form of the enzyme methylenetetrahydrofolate reductase (MTHFR) may benefit from supplementation with SAMe since B12 and folate are all essential factors in the formation of SAMe in the body. Aside from the interesting possibility that SAMe may play a unique role in the treatment of irritability, paranoia and impulsiveness in people with the COMT Val158Met polymorphism, the use of SAMe that most people are interested in is its potential role in the treatment of depression. SAMe is one of the most studied natural therapies for treating major depression. Several studies have shown that it is as effective as tricyclic antidepressants in treating major depression (Delle Chiaie, Am J Clin Nutr 2002, Salmaggi, Psychother Psychosom 1993, Kagan, Am J Psychiatry 1990). A more recent study (Papakostas, Am J Psychiatry 2010 clarified in Fleish, Am J Psychiatry 2010) found that it may be helpful in patients with major depressive disorder who did not respond to prescription treatment with a serotonin reuptake inhibitor (SRI). In the study, SAMe was given along with an SRI and 46.1% of patients receiving the combination benefited, versus 35.8% receiving an SRI and a placebo supplement. The results suggest that SAMe may be an effective and safe adjunctive treatment for SRI non-responders. “SAMe is a methyl donor and is involved in the synthesis of various neurotransmitters in the brain. Derived from the amino acid L-methionine, SAMe has been postulated to have antidepressant properties. A small number of clinical trials with injected or oral SAMe have shown that, at doses of 200-1600 mg/d, SAMe is superior to placebo and is as effective as tricyclic antidepressants in alleviating depression, although some individuals may require higher doses. SAMe may have a faster onset of action than do conventional antidepressants and may potentiate the effect of tricyclic antidepressants. SAMe may also protect against the deleterious effects of Alzheimer disease. SAMe is well tolerated and relatively free of adverse effects, although some cases of mania have been reported in bipolar patients. Overall, SAMe appears to be safe and effective in the treatment of depression, but more research is needed to determine optimal doses. “Role of S-adenosyl-L-methionine in the treatment of depression: a review of the evidence. Mischoulon D, Fava M. Am J Clin Nutr. 2002 Nov;76(5):1158S-61S.Harvard Medical School, Depression Clinical and Research Program, Massachusetts General Hospital, Boston 02114, USA. Our own experience is that SAMe is not entirely free of one side effect that can be of significant concern for those with bipolar (or manic depressive) disorder: It can definitely induce mania. A typical full dosage of SAMe is 400 mg taken 3 to 4 times per day If this dosage works for you, take it for a few weeks and then try reducing the dosage. As little as 200 mg twice daily may suffice to keep you feeling better once the full dosage has “broken through” the symptoms. However, some people develop mild stomach distress if they start full dosages of SAMe at once. To get around this, you may need to start low and work up to the full dosage gradually. Recently, SAMe has come on the US market at a recommended dosage of 200 mg twice daily This dosage labeling makes SAMe appear more affordable (if you’re only taking 400 mg per day, you’ll spend only about a third or a fourth of what you’d pay for the proper dosage), but it is unlikely that SAMe will actually work when taken at such a low dosage. Good sources of SAMe include: GNC, Natrol, Nature Made, Puritan’s Pride, Twinlab and the Vitamin Shoppe . It is often recommended that one start at 200 mg a day and then increase gradually to around 800 mg a day. SAMe should be taken in divided doses (at least 2 times a day and preferably 3 times a day) and improvement can be seen in a few days to 3-4 weeks. Buyer beware! In its most recent review of these products, Consumer Lab found that almost half of all formulations were unacceptable. For one product the amount was below detectable. These statements have not been evaluated by the Food and Drug Administration. This product is not intended to diagnose, treat, cure or prevent any disease I am providing you with specific brand information as a courtesy. Gateway Psychiatric Services receives no reimbursement from these companies. Ever since May of 1999, and the first publication of a study by Andy Stoll from Brigham and Women’s Hospital at Harvard Medical School, there has been a great deal of interest in the value of omega-3 fatty acids in the prevention and treatment of mood disorders. * The study compared 9.6 grams per day of omega-3 fatty acids from fish oil with olive oil (as a placebo) and found that, on nearly every measure, bipolar patients did better on the fish oil supplement. Since then there have been several more studies and the results are mixed. In October of 2002 in an article in the most prestigious journal in psychiatry (the Archives of General Psychiatry) Peet and Horrobin from Swallownest Court Hospital, in Sheffield, England found that treatment with ethyl-eicosapentaenoate (one of the principle omega-3 fatty acids in fish oil) at a dosage of 1 g/d was effective in treating depression in patients who remained depressed despite adequate standard therapy. Zanarini and Frankenberg from McLean Hospital (also affiliated with Harvard) found that the same dose (1 gram/day) of ethyl-eicosapentaenoate was effective in treating borderline personality disorder (a condition associated with depression and rapid shifts in mood). Then in May of 2003 Lauren Marengell and colleagues from Baylor College of Medicine in Houston found that 2 grams per day of docosahexaenoic acid (DHA) (the other major omega-3 fatty acid in fish oil) was not effective in treating depression. Our own experience with fish oil is also mixed, it seems to have helped patients with unstable or cycling mood disorders achieve more stability, but it is often not dramatically helpful. On the other hand, it has no side effects other than a very slight fishy “taste” that reminds you that you took it for a few minutes. And there is some evidence that it may be good for preventing blood vessel disease that can cause strokes, memory loss, and heart disease. A recent study published in the Journal of the National Cancer Institute reported that men who had higher blood levels of the two fats (DHA and EPA) found in fish oil had a somewhat increased risk of prostate cancer. This study did not ask these men about their diet and it was not a clinical trial (giving people the supplement and observing what happened). Studies that look at associations run the risk of assuming that A (taking fish oil) causes B (prostate cancer) even if there is no such link (A and B are caused by something else – for example, other studies have suggested that fish oil protects against prostate cancer – maybe the subjects who were concerned about prostate cancer decided to take fish oil to prevent it from happening). There is an ongoing large clinical trial of fish oil which will likely answer the question. The only way to get substantial amounts of those omega-3s is from fish or fish-oil supplements. The least expensive way to get fish-oil supplements is most likely from a membership club, like Kirkland Signature Natural Fish Oil at Costco or Member’s Mark Omega 3 Fish Oil at Sam’s Club . Some other quality brands** are: Spring Valley Natural Fish Oil Concentrate, Walgreen’s Fish Oil Concentrate, Vitasmart Naturals Fish Oil Concentrate (Kmart), Natrol Omega-3, GNC Fish Body Oils. Consumer Reports magazine reviewed fish-oil supplements in their July 2003 edition. Saint John’s Wort ( Hypericum Perforatum ) is a plant that has a long (dating back to Hippocrates) history as an herbal medicine. It is commonly prescribed in Germany for the treatment of depression. A large, but mixed quality, literature, mostly from Germany, supports its use and suggests that it is comparably effective to traditional pharmaceutical antidepressants. It has not been shown to be effective for moderate to severe depression and one large study sponsored by the Pfizer did not find it to be more effective than placebo in the treatment of major depression (April 2002). It is our experience that St. John’s Wort is a mildly effective antidepressant and, unlike SAMe, we have not seen it induce mania. However, most of the patients who have tried it with moderate or more severe depression have ended up switching to traditional antidepressants. It has a very mild side effect profile. While St. John’s Wort itself has a benign side effect profile, a potentially toxic metal, cadmium, is present in significant quantities in many formulations of the herb. Also, there is a great deal of variability in the quality of product available. Nature Made and Nature’s Plus are two other formulations that are of generally good quality. The optimum dosage of hypericum, based on the majority of medical studies, is 300 mg of hypericum extract three times a day. Finally, research from the NIH has shown that St. John’s wort interacts with some drugs–including certain drugs used to control HIV infection (such as indinavir). Other research shows that St. John’s wort can interact with anticancer, or chemotherapeutic, drugs (such as irinotecan). The herb may also interact with drugs that help prevent the body from rejecting transplanted organs (such as cyclosporine). Using St. John’s wort limits these drugs’ effectiveness. Melatonin is a hormone made by your body’s pineal (pih-knee-uhl) gland. When the sun goes down, and darkness comes, the pineal gland “goes to work.” As melatonin production rises, you begin to feel less alert. Body temperature starts to fall as well. Levels are so low during the day that scientists often have difficulty detecting melatonin then. Few studies have been done on melatonin’s safety, side effects, interactions with drugs, and long-term effects. (Unlike products recognized as “drugs, melatonin does not require extensive testing in animals and people before being sold in the U.S.). How much to take, when to take it, and melatonin’s effectiveness for many groups of people are also unknown. Our experience is that melatonin is an agent that is not a particularly effective sedative (in other words it doesn’t help that much putting you to sleep), however it can help to re-establish normal circadian (night/day) biorhythms. An alternative approach, that has no side effects at all involves calculating when to expose yourself to light use a jet lag bodyclock. Those of you who are interested in trying this agent are in luck because the quality of melatonin supplements available is generally pretty good. Natrol, Twinlab, Puritan’s Pride and Walgreen’s are among the companies with good products. For a number of reasons, some obvious, and some not so obvious, many people with mood disorders have trouble eating a healthy diet. At the same time, there is very strong evidence that vitamin deficiencies are related to depression. For this reason, we strongly urge everyone with a mood disorder to at least take a multivitamin every day. In the sections that follow we will talk a little bit more about the role that various vitamins play in preserving normal mood. We recommend that every patient with a mood disorder take a multivitamin / multimineral pill. There are many reasons for this. First, they are inexpensive and safe (with a few exceptions relating to formulations that provide too much of certain vitamins or minerals — those that provide 100% of the Daily Value of vitamins or minerals are always fine). Second, there are a number of deficiencies that can worsen depression, and that may even make a depression resistant to other kinds of treatment, for instance folate deficiency and iron deficiency. However, a recent test of multivitamins by Consumer Labs (see above) found that 25% failed to meet acceptable standards. Some contained potentially toxic levels of lead in them. Formulations made by Walgreen’s, Puritan’s Pride, GNC and Centrum all passed the tests. A multi need not cost more than a few cents a day. You don’t need a fancy multi. Look for “USP” on the product label. This means that the pills meet the standards of the US Pharmacopeia for disintegration and it also means that it has been tested under controlled laboratory conditions. Look for 100% of the Daily Value for: vitamin D, vitamin B1 (thiamin), B2 (riboflavin), B3 (niacin), B6, B12 and folic acid (folate). Plus at least 20 micrograms of vitamin K for strong bones. The multivitamin should contain no more than 5,000 IU of vitamin A (that’s 100% of the Daily Value) but at least 40% of it should be in the form of beta carotene. Look for 100% of the Daily Value of: copper, zinc, iodine, selenium (preferably from yeast, but not more than 200 micrograms) and chromium (not more than 200 micrograms). Most multivitamins contain 100% of the Daily Value of vitamin C and E. This may not be enough. We recommend 250 – 500 milligrams of vitamin C per day, but you should get the extra amount from fruits (orange juice) and vegetables (orange and red vegetables) if possible. It is not clear whether higher doses of vitamin E are helpful or not. Calcium is so bulky that you won’t be able to find a multi with enough, so you will probably need a separate calcium supplement. Everyone needs at least 1,000 milligrams of calcium per day in either a supplement or in food. Women over 50 and men over 65 need 1,200 to 1,5000 mg. If your multi contains iron (and it should) don’t take it with food. Good sources of multivitamins include: Geritol, Kirkland Signature, Nature Made, Nature’s Bounty, One A Day Maximum, Theragran-M, Centrum and Walgreen’s Multivitamin with Iron. Consumer Labs tested multivitamins in September 2000. Their review can be found at ConsumerLabs.com. * In this study 5/15 multivitamins failed their standards. A consistent finding in major depression has been a low plasma and red cell folate which has also been linked to poor response to antidepressants. Several studies have also found that supplementation with at least 500 micrograms of folate converted some antidepressant non-responders into good responders. Folate deficiency is associated with depression and dementia. It is also a critical supplement for women who are pregnant. And some medications (especially Depakote and Lamictal) that may be prescribed to patients with mood disorders tend to inhibit the action of folate. Folic acid also has particular affects on mood and cognitive and social function. However, folic acid should be used with caution in the presence of vitamin B-12 deficiency or epilepsy. The easiest way to get your daily dose is by taking a daily multivitamin. Good natural sources of folate include dark green leafy vegetables and oranges. The recommended daily allowance for most adults is 400 mcg, but for pregnant women it is 600 mcg per day. The upper limit for folic acid is 1000 mcg per day, however, some studies have found benefit at higher doses, at higher doses, though there is some reason for concern about toxicity because folate can make the brain more vulnerable to seizures. More information is available here. B-12 deficiency is one of the classic causes of a potentially reversible memory impairment. 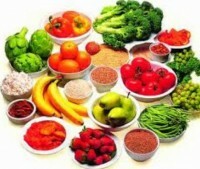 Most people receive adequate amounts from their diet (it is found in meats, fish, and chicken, but not found in foods from plants) but vegetarians (for obvious reasons) and those who are older than 50 years of age (because of reduced stomach acid and therefore reduced absorption) should take supplements. The recommended daily allowance is 2.4 micrograms for most people, but higher doses of up to 400 mcg have been used to prevent heart disease. No upper limit has been established for B-12.